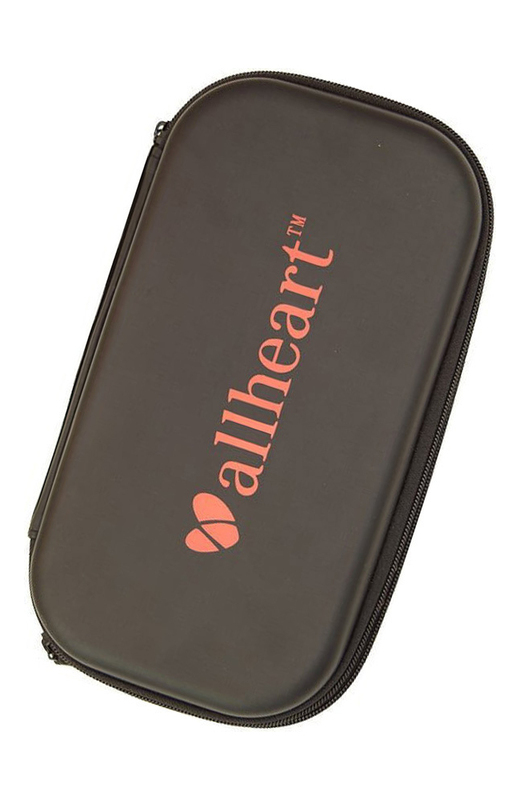 Strategic padding keeps your most valuable diagnostic safe in the allheart Stethoscope Case. A special indent shows you just how to conveniently store your favorite stethoscope when it is not in use. Nice case not great fit for my cardiology stethoscope though wish l had known as squash to get it in and done up. I bought the 3m Litman3, and it doesn’t fit nicely in the cas...like getting hyper children in car seats that they have put grown. But the case is ok, and would prob work with a smaller stethoscope I would imagine. Unfortunately, I am in agreement with other reviewer‘s that not all stethoscopes fit inside this case. I have the Littman Cardiology IV stethoscope ( 27 inch ) and it does not fit properly in the case. The case can be closed and zipped but I always worry about the air pieces being damaged in doing so . A “heads up “ for buyers interested in purchasing this case would have saved me this dilemma and the price I paid for it. I wish they would put this in the recommended when you put a cardiology stethoscope in your cart. Unfortunately, I fell for it - not I have a case that my stethoscope is too big for. Stethascope fits perfectly in the area fitted for any stethascope. The only thing I would like imporoved is the opposite that has the pouch would have built in compartments in the mesh to hold stethascope accessories. The case holds my stethoscope well, but I didn't realize it would be so large. It takes up quite a bit of room in my backpack, but so far, it's simple for keeping my stethoscope in. I also really have to manipulate my stethoscope to fit properly. I couldn’t ask for a better way to protect my stethoscope. Really nice case to keep my new stethoscope in. A good, sturdy product but I was expecting it to be a soft case rather than a hard one. The recipient was happy to receive her gift and would not complain, but I'm sure as a medical student, lugging a hard-back case. The stethoscope fits very well in the case and keeps it protected. This was a Christmas gift for my daughter, she loved it! Very nice, good quality and gives great protection to stethoscope. A few other colors to choose from would be nice. Very nice product that protects the stethoscope well. I was happy to see that it was a hard case and fit into my work bag for transporting to and from my job without difficulties. Sale for Littmann stethoscopes and it was either I paid $18 for shipping or by spending $2 more I got free shipping so this case was the perfect match. Slightly weird first few times you use the case but you get used to it. Great quality. 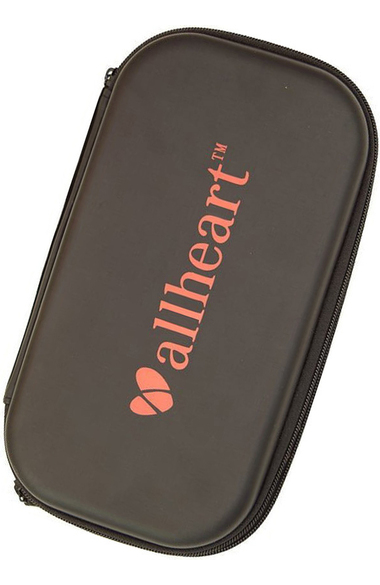 I give this stethoscope case a very high rating. I am very satisfied with it.